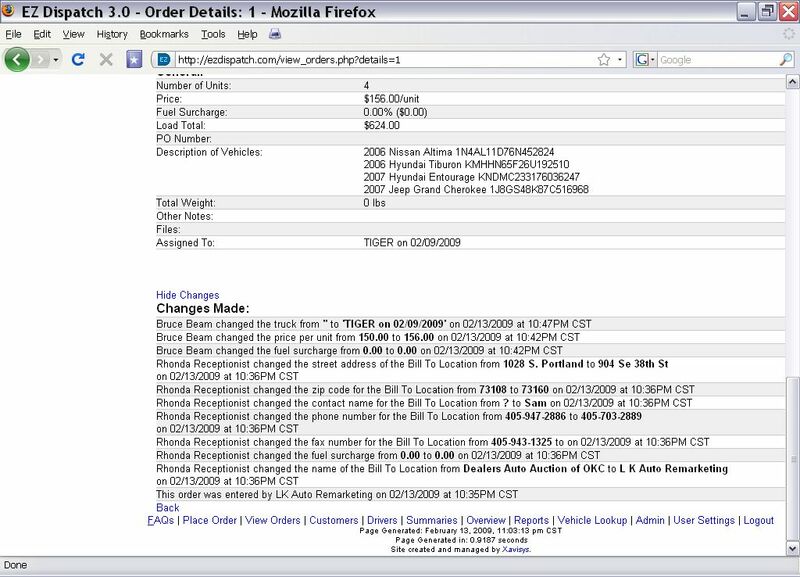 You can use the same function to track drivers license expiration, medical card expiration. 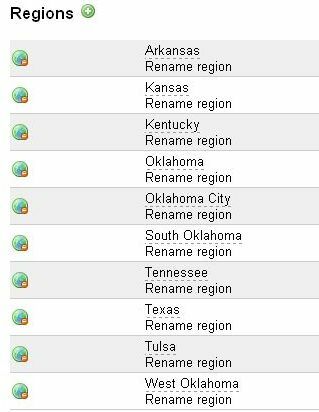 registration expiration etc. 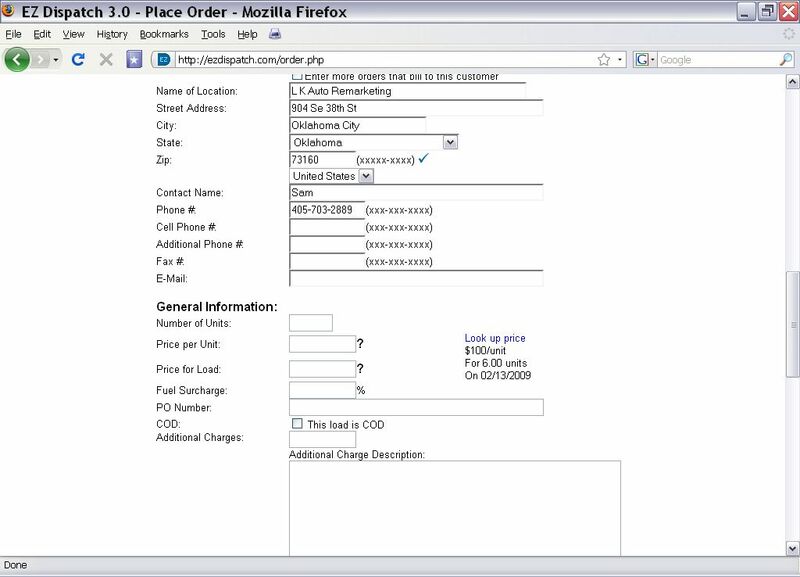 You can even deactivate a customer or carrier at the push of a button. EZDispatch has price tracking that is customer specific so you can still have the flexibility to offer special deals to good customers without creating confusion or sacrificing accuracy. 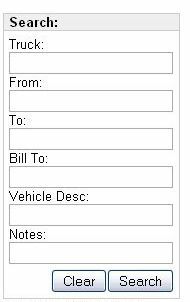 EZDispatch offers custom transport zones to make it work for your specific application. 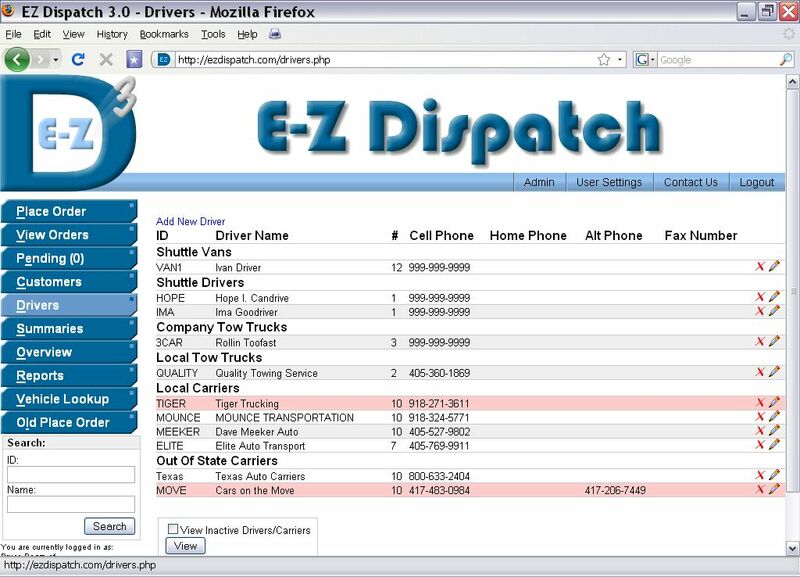 Searches are a snap with EZDispatch whether it is checking the progress of a current order or looking back at old transports. 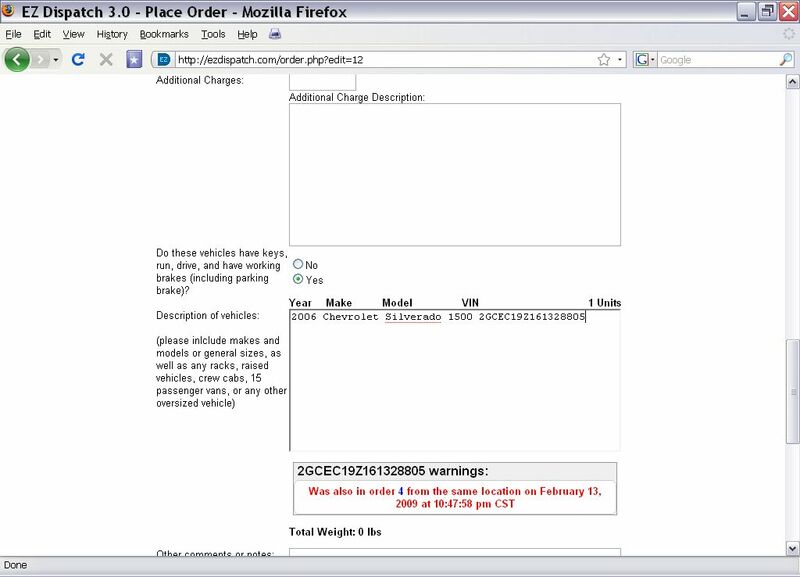 EZDispatch even contains a record of each change made to an order and who made the change, when. 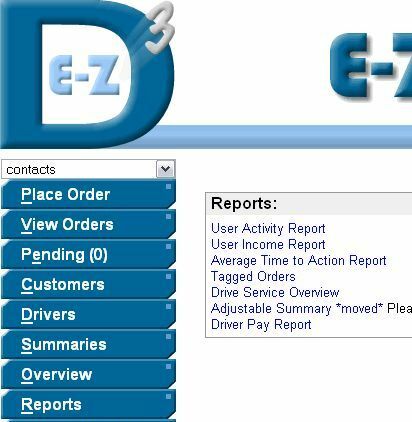 EZDispatch can also generate reports to tell you how a carrier is performing on delivery times as well as reports to tell you how quickly you move vehicles for any particular customer no matter what carrier does it. I am looking for a bar code scanner that will allow me to record and store vin numbers with descriptions and possibly weights so that the can be emailed to my office from my driod 4 . We now have an app or the droid phones that will let you scan the vins with the phone.